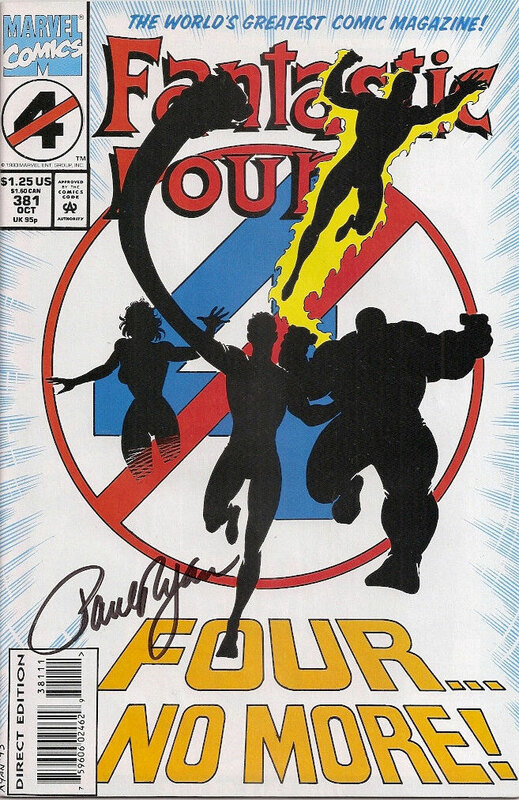 In light of Paul Ryan's way-too-premature passing, I thought I'd run an interview I conducted with him way back in 1997 for FFPlaza.com, my old Fantastic Four site. 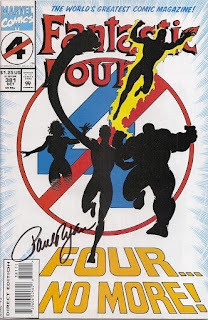 During his tenure on the FF, he and DeFalco were sometimes criticized for the direction they had taken the book -- from killing off Mr. Fantastic to the Invisible Woman's "inappropriate" costuming to retconning the Human Torch's marriage -- but, despite not agreeing with every decision they made, I found it to be an incredibly fun run of stories. And working for nearly five years on the book, it put Ryan and DeFalco third behind only John Byrne and the team-up of Stan Lee & Jack Kirby for longest creative run on the title.